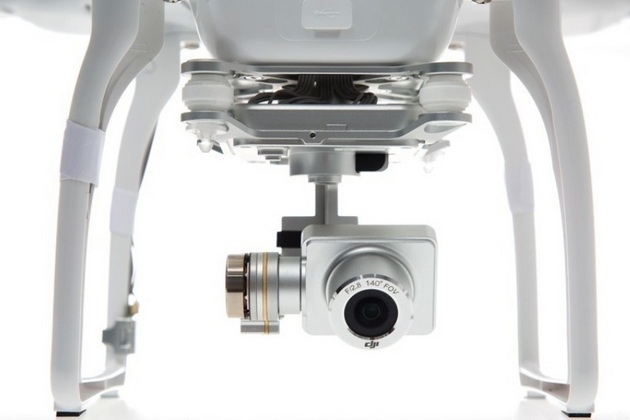 The DJI Phantom Quadrocopter makes flying possible for everybody. It features a very easy control. 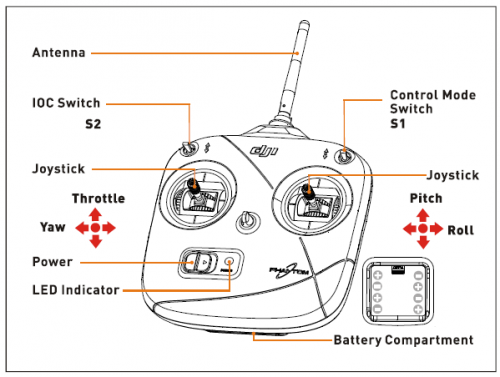 Different flight modes ensure that slight mistakes don't end up in an accident. If the pilot is uncertain, he can simply let go of the joystick and the Phantom stays put. The Phantom is equipped with GPS and knows the way back to the starting point if necessary. A sophisticated software combined with the DJI Naza V2 control provides easygoing flying fun. With the help of this quadrocopter hams can fly over the constructed antenna system and check if everything is right by using a camera. It is also possible to lift a thin rope over a tree and built up a dipole or similar. On the next Fieldday you can not only score with quick mounting of antennas, but also make amazing aerial pictures of the event. 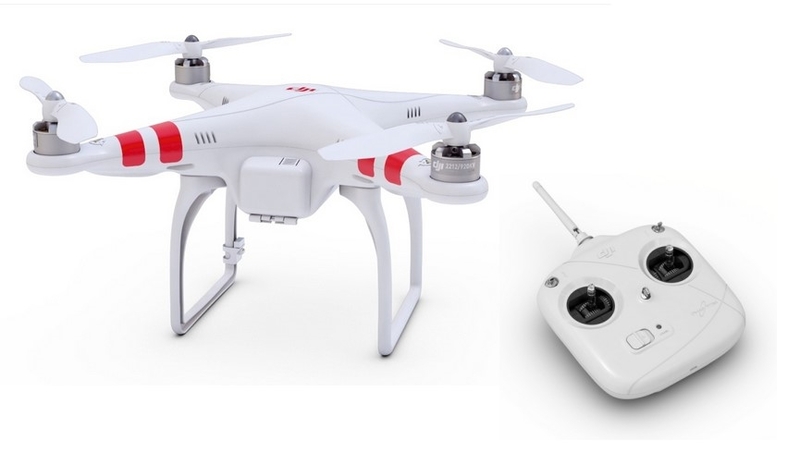 The DJI Phantom 2 is a quadrocopter for beginners. It has no camera or further accessories, so that the pilot can fully focus on flying. Of course accessories can still be added later. In any case we recommend a propeller guards for beginners to prevent damages and injuries. 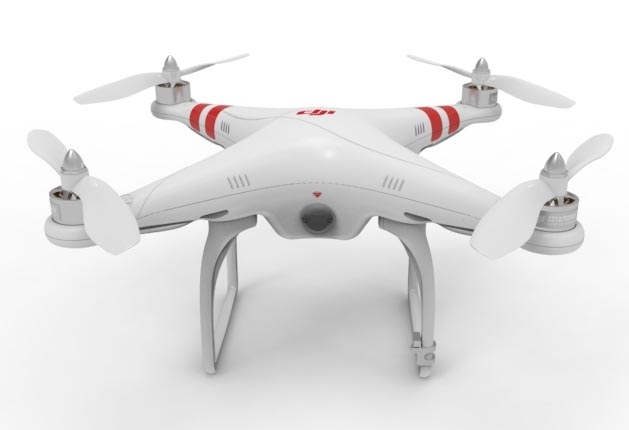 The DJI Phantom 2 Vision+ is the current premium model in the Phantom series. This quadrocopter is already equipped with every feature imaginable. 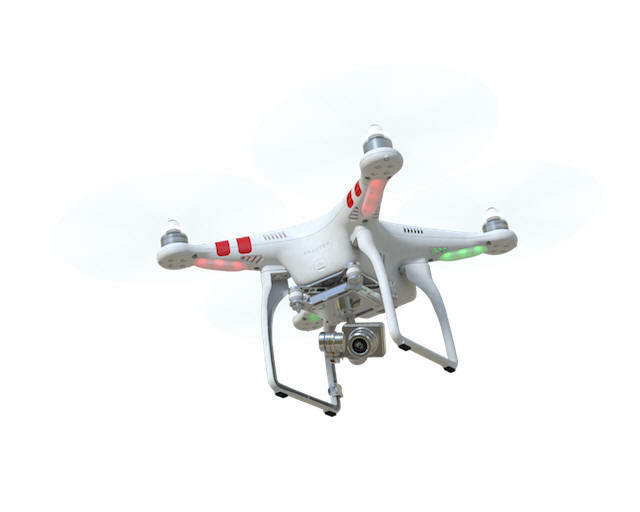 The Phantom Vision+ includes a 14 megapixel camera, gimbal and 2.4GHz transmitter. The 2-axis gimbal ensures that the fixed camera is always kept in steady position. The two motors of the gimbal balance or counter steer to the movement of the quadrocopter. The gimbal with camera is connected by a so-called vibration plate, which decouples the vibrations of the motors and ensures that the image of the camera has no "shaking", otherwise noticeable by annoying stripes. The Phantom Vision+ is equipped with a built-in video transmitter, which sends back the live camera image. You can then view the live image on all common smartphones (Android 4.0/iOS 6.1 or higher). Increase the range with the help of the so-called Range Extender, which is mounted next to a mount for the smartphone. The Range Extender receives the signal of the camera from the quadrocopter, amplifies it and sends it then to the smartphone. Now the pilot can witness live what the quadrocopter sees. Due to the 2.5GHz video link, the remote control uses 5.8GHz and therefore has slightly less range. DJI specifies a working video link up to 700m, but no range for the remote control. The software of the Phantom has a so-called "No FLY Zones" feature built-in to ensure optimum safety. When this function is active, the quadrocopter will not fly into no-fly zones (military areas, airports) and turn around when entering into such.